Here’s a portrait I did way back in 2006 at the portrait studio in Bracebridge. It was my second year attempting portraits and up to that point my medium was mostly smudging charcoal. I have always sucked at portraits so I forced myself to attend these sittings every week, usually with an old decrepit model saturated in heavy shadows for two hours at a time…which was fine, I think. However, for this particular sitting an old English friend of mine sprang a few extra bucks to hire a young model to sit for a couple of hours. 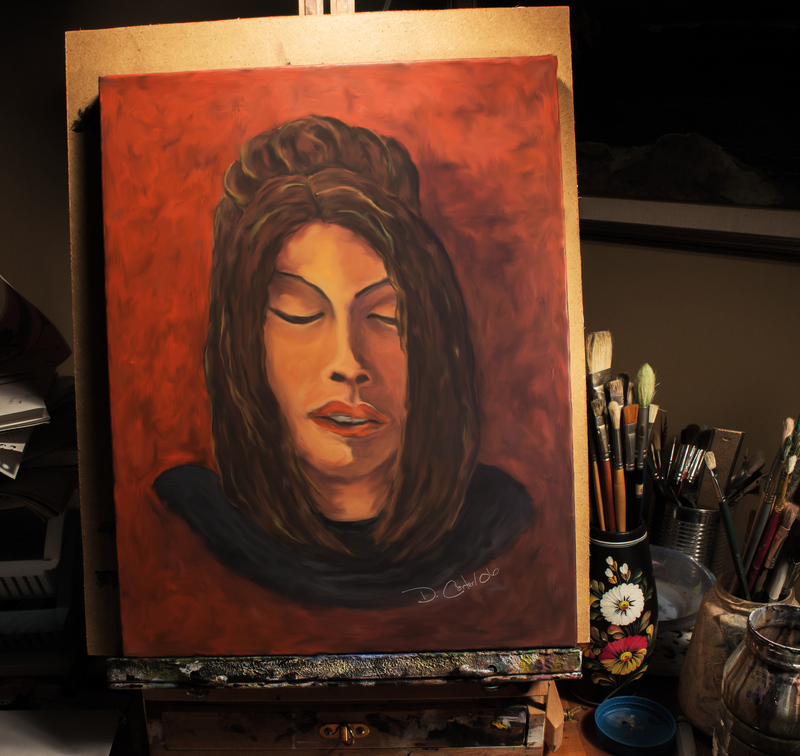 As fate would have it, I had brought some acrylic paints and a canvas that night and this was the result. Not a great portrait by any means and there is probably a hundred things I would do different today but for my own diachronic purposes once I sign something I leave it alone…unlike my brother-in-law who is an excellent painter, and is a perfectionist by nature, and who has systematically ruined most of his great works by going back and painting over finished pieces when he sees things, particularly in his older paintings, that he feels he can improve upon. Usually it starts with a dab here and a dab there and the next thing you know the piece has been completely reworked and looks nowhere as good as the original. We have a good relationship so we joke about “the problem” at every opportunity. I ask him what painting he is ruining today and he says, “oh, its just a little color adjustment”. I mentioned to him that he should attend the portrait studio with me. We have a deadline (2 hrs) and when you’re time is up, you are done, period. No going back! Besides, I feel it is good to look back over the years and see where one has come from, and to be aware of ones progress, or lack of it. If nothing changes or improves how can we measure our own development? Will not everything look like it was done just yesterday…and of course it does, because it was!